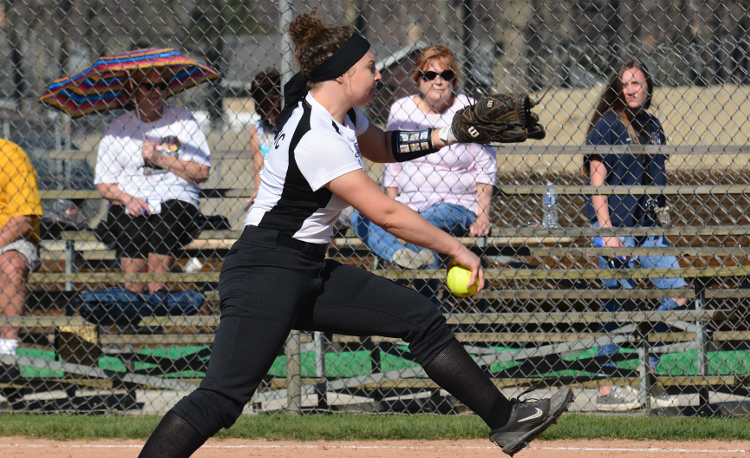 Kirsten Luksic struck out 10 to lead North to an 8-1 win over visiting Mayfield in a Western Reserve Conference battle on Monday. The win was the fifth straight for the Rangers, who improved to 6-5 overall and 4-0 in league play. Luksic allowed one earned run on four hits and struck out at least one Wildcat in every inning. North jumped out to an early led when Juliana Augusta led off the bottom of the first with a double and scored on Hannah Harris’ fielder’s choice. Harris scored on Hailie Wilson’s single to give the Rangers a 2-0 lead. Mayfield scored a run in the sixth on a single and a triple but the Rangers responded with six runs in the bottom half of the inning to put the game away. Wilson, who finished 3-for-4 with two runs batted in, led off with a single. Luksic reached on an error and Olivia Augusta singled. Lillian Gunton reached on a fielder’s choice and Ashlee Kronik and Julianna Augusta both singled. Harris then reached on a fielder’s choice and Jess Dodd extended the inning on an error. Wilson hit her second single of the inning to close out the scoring. Juliana Augusta finished 2-for-4 with two runs scored and a double and she also knocked in a run. Luksic allowed a leadoff single in the seventh but struck out two of the next three batters to close out the game. North travels to Madison on Wednesday.